Hometown: Brooklyn born and raised. Education: Franklin & Marshall College, and starting Columbia in the Fall. Favorite Credits: My play Infallibility premiered at FringeNYC last year. Acting wise, I'm honored to have been part of These Seven Sicknesses at The Flea Theater. Why theater? : Because of the immediacy, because of the relationship between the audience and the performers, because of the collaboration that goes into turning words on a page into a play. Tell us about El Coqui Espectacular and the Bottle of Doom! : Alex - played by Michael John Improta - is a comic book artist down on his luck, whose actually pushed so hard for more diversity in the heroes he gets to draw that it may have cost him his job. Unemployed and living at home again, he begins to dress up as his creation, El Coquí Espectacular, a superhero that defends Nuyoricans. Unfortunately for him, he can't keep it secret for long. What inspired you to write El Coqui Espectacular and the Bottle of Doom? : A lot of things came together or me in writing this play. A love of vejigante masks and superheroes. Growing up struggling with other peoples' ideas of what it meant to be Puerto Rican or to "act white." Working in Hispanic marketing. El Coquí is about notions of identity as they relate to individuals and to ethnicity. Sort of. What kind of theater speaks to you? What or who inspires you as an artist? : Big theater - big casts and puppets and crazy costumes and scope! Movement and language and everything heightened! Don't get me wrong, I can love a play set in a living room as much as any other, but it's the big stuff that reminds me what the art can be. If you could work with anyone you’ve yet to work with, who would it be? : I'd love to work with Vampire Cowboys, creating crazy huge nerdy theater. I also fantasize about a production of my last play, Infallibility, with Bill Irwin in the role of Saint Genesius, the patron of actors and clowns. What show have you recommended to your friends? : I just went to Drama Book Shop the other day and pulled Yemaya's Belly by Quiara Alegría Hudes, Marisol by José Rivera, The Last Days of Judas Iscariot by Stephen Adly Guirgis, and She Kills Monsters by Qui Nguyen, all for castmembers in this show. I've been meaning to lend El Coqui´'s director, Anne Cecelia Haney, my copy of Roberto Arlt's Saverio el Cruel. I'm also in the middle of reading Bill Cain's Equvocation right now and it's checking all my boxes. The Mysteries, when it comes back in June, is a must-see. And speaking of The Flea, everyone should check out #serials when it finally makes its triumphant return. Who would play you in a movie about yourself and what would it be called? 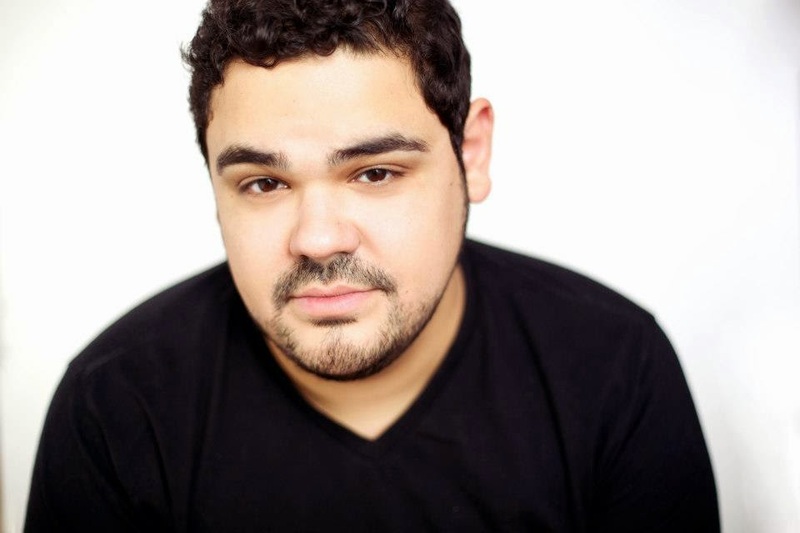 : I've been told Luis Guzman. I don't know. Maybe Benicio del Toro? We can call it "Barbot, Miscast". What’s your biggest guilty pleasure? : Is watching "Dinosaur Train" on PBS a guilty pleasure? What if I'm not all that guilty about it? What’s the most played song on your iTunes? : Hard to say - new-ish computer. That said I've been listening to a lot of Hello Seahorse! lately. If you weren’t working in theater, you would be _____? : Miserable, probably. What’s up next? : Beginning my MFA studies at Columbia. I'm excited but also terrified but then excited again.